A decade ago, T.I. brought his hometown to the big screen in a relatable coming-of-age film titled ATL. The movie made me and all of my friends want to move to the Peach State, likely increased interest in HBCUs like Spelman College and gave everyone outside of the 285 a glimpse of life in the heart of the South. Fast forward ten years, and while there’s no solid sign of a highly anticipated sequel, Tip’s hip-hop successor, Childish Gambino (Donald Glover), has brought us back to the A. While ATL focused on the happs of New New, Rashad and their high school crew as they prepared for life after, Gambino’s Atlanta offers a different perspective and more current ongoings of the city. Since the mid-2000s, Atlanta has become a headquarters for hip-hop and television, synonymous with strip clubs, trap houses and reality shows. Some have embraced it, capitalized off of it and made themselves the poster children for these things. Although it’s only two episodes in, it doesn’t seem like this show will venture down any of those rabbit holes, except of course, hip-hop, and probably strip clubs. On the show, Gambino stars as Earn, a Princeton dropout who seems to be going through a rough patch in life. He has a young daughter and depends on her mother, Van, for emotional and financial support. So far, we’ve also been introduced to Earn’s cousin, Alfred “Paper Boi” Miles, a budding rapper on the brink of neighborhood stardom. Judging from what we’ve already seen of their relationship, it’s safe to say that anything is possible when these two get together. In the first episode, “The Big Bang,” they find themselves behind bars following an altercation outside a liquor store that started with a young man kicking Paper Boi’s sideview mirror and ended with a gun being fired. In the second episode, “Streets on Lock,” Paper Boi is released from jail and enjoys the perks of his newfound street cred and a song on the radio. Meanwhile, Earn remains locked up and pleads with his baby moms to get him out. I’m not exactly sure where this is going, but it’s off to a good start. Atlanta airs on Tuesdays at 10 p.m. on FX. 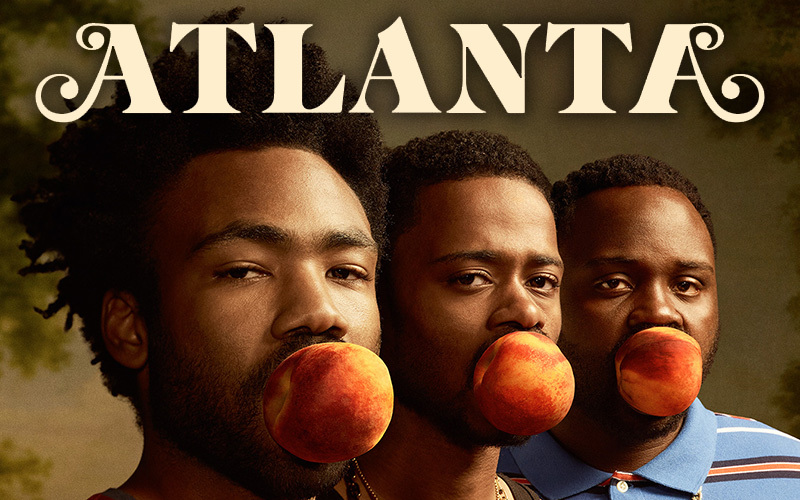 UPDATE: Season 2 of Atlanta returns on March 1.